Last week, the muggle and I spent a hectic 9 days in England and Wales, attending 3 megas and doing an insane amount of geocaching! 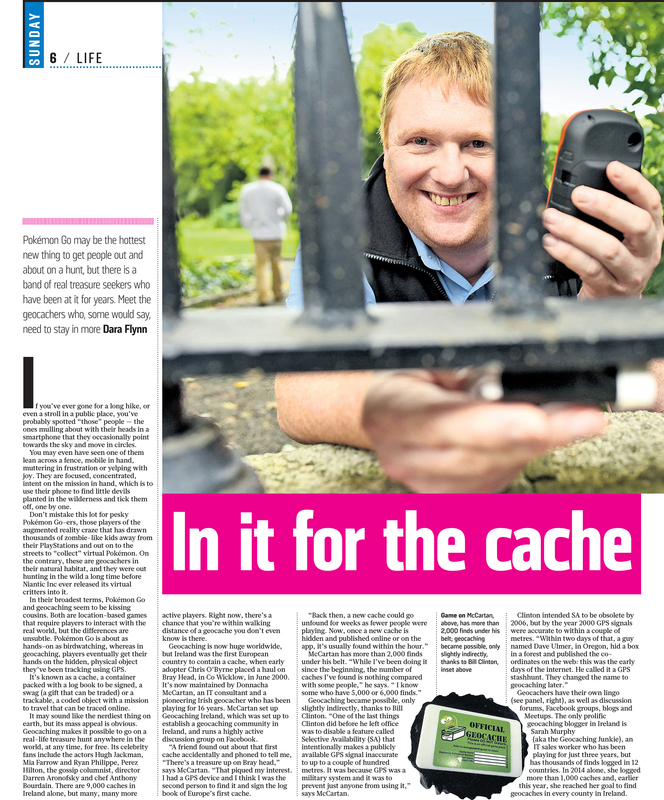 On day two, while we were in Shrewsbury attending Piratemania, I was contacted by Dara Flynn from the Sunday Times (Ireland) and asked to do an interview about geocaching. 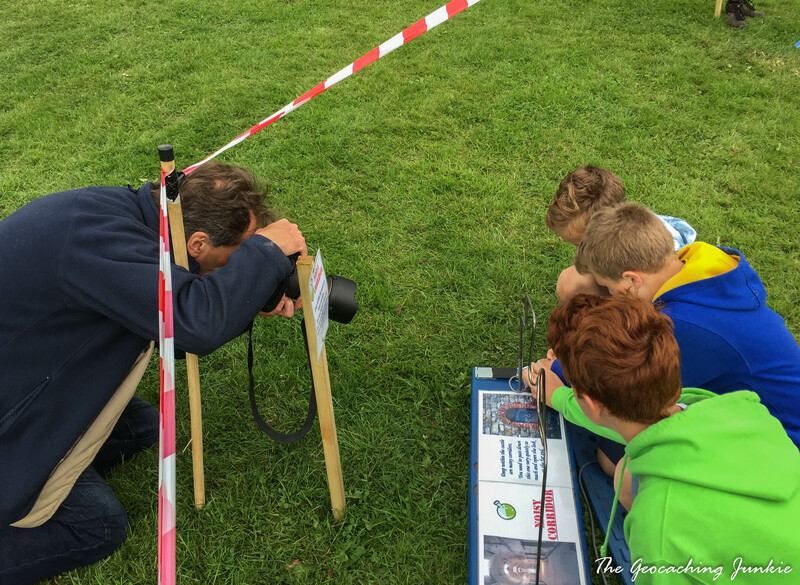 On Wednesday morning, I spent a couple of hours with a photographer at the Mega campsite in Carrog, doing a photo shoot of various geocaching poses! I then spent a while chatting to Dara about everything geocaching. We were joined by more members of the clan at the campsite, so the photographer took lots of photos of the whole family and the kids loved it! Meanwhile in Dublin, Donnacha went geocaching with a photographer and also spoke separately to Dara. The attached article is the result, I hope you like it! 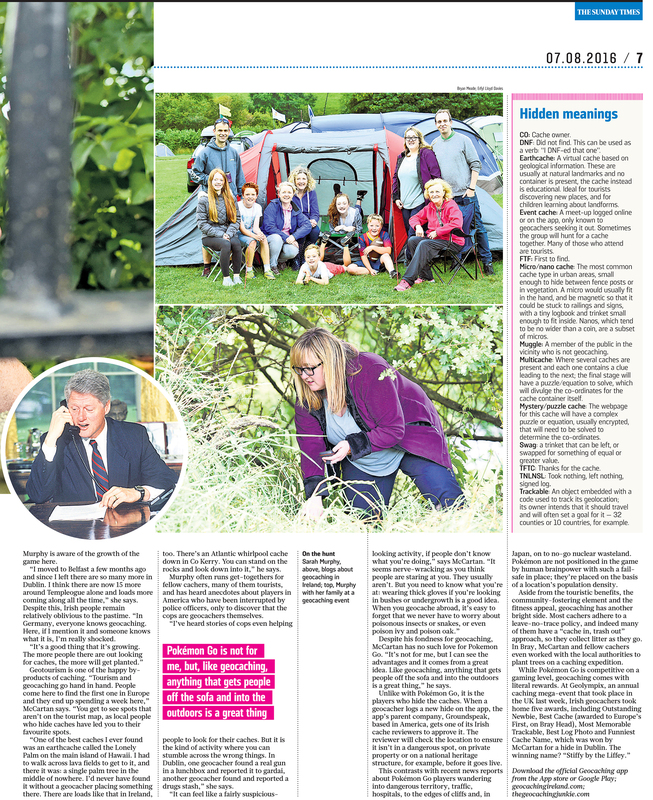 Many thanks to the Sunday Times for kind permission to reprint here. Well done, Sarah, enjoyed reading this. I’ve been well and truly bitten by the geocaching bug. If you scroll down, you’ll see a blog about sending a message in a bottle. That’s me also same person who asked advice about creating a Earthcache – didn’t do it but have had first trad cache published.